So often I open my email to find a teacher is looking for more resources on math, writing, mini-lessons, etc. Ultimately, the underlying question is – I want to know more. I want to hone my craft. What should I be reading? Today I wanted to pause and share with you some of my go-to resources while planning, teaching, and learning in my classroom. Now friends, don’t look at this list and panic. The goal of your summer is not to consume education every.single.day. It’s not. Rather, slowly, over the course of 4 years these are the books that have molded, honed, and guided my instruction. Some are easy reads. Others are like college textbooks. Some I re-read every.single.summer because they remind me why I teach and reignite my excitement for welcoming a new classroom of friends. I’ve broken my list of texts into three sections – Literacy, Math, Raising Amazing Humans (Management). 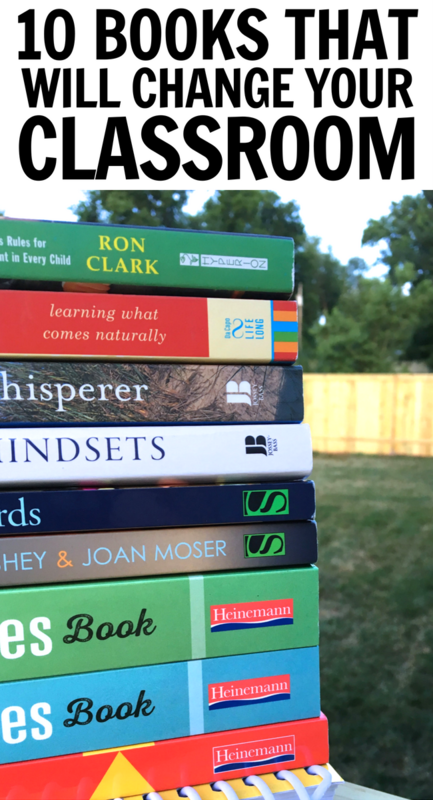 While I have books that drive my science and social studies instruction, I was picky, choosing only the books that allowed you to see their impacts on a daily basis. Ideally, any day you walked into my classroom you could see elements of each of these treasures impacting my instruction, my relationships with students, and the passionate way in which I communicate my love for learning. The below texts lay a foundation for learning and teaching in my classrooms (whether K, 1, K/1, or 5th), so here we go! Throughout this post, you’ll find Amazon Affiliate links, which means Amazon tosses a few nickels my way if you purchase something through that link, at no extra cost to you, that help keep my corner of cyber-space running and helps fund giveaways! Walking into my classroom during reading and writing and you’ll immediately see the impact The Daily 5 has had on my classroom. From building sustainable reading routines that don’t involve weekends filled with printing, cutting, and laminating to intentionally carving out significant periods of time for reading and writing, The Daily 5 is a game changer. From launching Read to Self to Fostering Independence during our first week of choices, you can check out my Daily 5 reflections here. The 2nd Edition is considerably more specific and flexible than the first edition. This version offers a lot of different variations and options (as well as, a chapter about The Daily 3) while sticking to the true intent of Daily 5 – helping students develop lifelong literacy skills that allow reading to be something they love. This is one of the 3 texts I re-read every.single.summer. 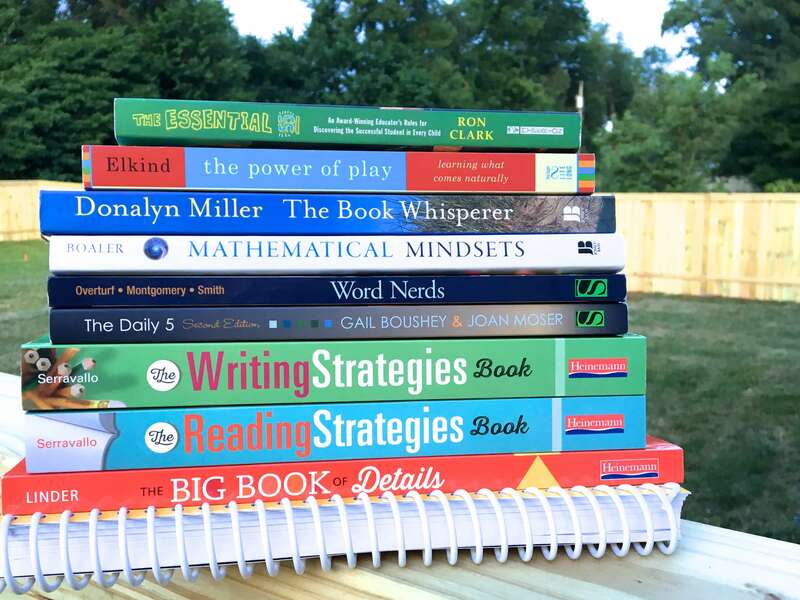 Teaching 5th Grade as a 1st year teacher, The Book Whisperer demanded that I place more time, energy, and classroom resources in creating an environment and culture where reading mattered. Giving students authentic reading opportunities, focusing on interest instead of level, and being a model of a ‘Wilder Reader’, Miller’s book is convicting. Every student is a reader if exposed to the right book. Fostering wild reading habits demands that classroom reading time be preciously guarded and that students who love to read need a community of individuals who are equally passionate about reading, whatever their genre. This is the second of the 3 texts I re-read every.single.summer. Using books from Learning A-Z, I follow Jan Richardson’s Guided Reading plan and LOVE it. It takes all the guess work out of my groups and is a familiar routine to follow. From sight word lists, weekly guided reading skills, comprehension skills, broken down by guided reading level, Jan is fabulous. This is a book that I purchase for each of my Student Teachers. It’s definitely an investment BUT it offers the foundation that they need to intentionally push and support readers during Guided Reading. In addition to the book (it’s spiral bound!!! ), there is an online component that has all the forms in printable versions, as well as, videos of guided reading groups at each level (emergent, fluent, transitional, etc) This makes it so easy to brush-up on an area where I am struggling or where I feel like students aren’t growing. This book has a TON of information, so I typically use it as a reference. It’s not one I read cover-to-cover each summer; rather, I keep it by my desk and snag it as a I plan and pull Guided Reading materials. Need ideas for those mini-lesson in between Daily 5 rounds? The Reading Strategies Book is perfect for short, intentional mini-lessons. The skills/topics are organized by instructional ranges and most are single pages. They include a teacher script or question stems, sample anchor charts, and are actionable. It’s not a book you’ll read cover-to-cover; rather it will become a grab and use book for lesson planning! Realistically The Big Book of Details is geared more toward middle-grade classrooms. BUT…. as teachers, we know there are so few great writing resources out there that actually communicate HOW to teach writing that I cling to the ones I find. It is sectioned into each writing genre and provides “Moves” for teachers to initiate when they see students are struggling to explain or elaborate. I really like this book because it is practical, scripted at times, and offers specific examples of each strategy used. While not all the ‘moves’ work with littles, it’s still one of my go-to resources in planning writing mini-lessons or writer’s workshop conferences. The writing companion to the Reading Strategies Book, The Writing Strategies Book is hot off the presses and offers short, intentional mini-lessons. Perfect for writing conferences or whole-group ideas, again it is full of anchor charts, teacher prompts, and ideas for teaching students to craft their writing. Jo Boaler – researcher, professor, educational rockstar – is a guiding voice in mathematics right now. 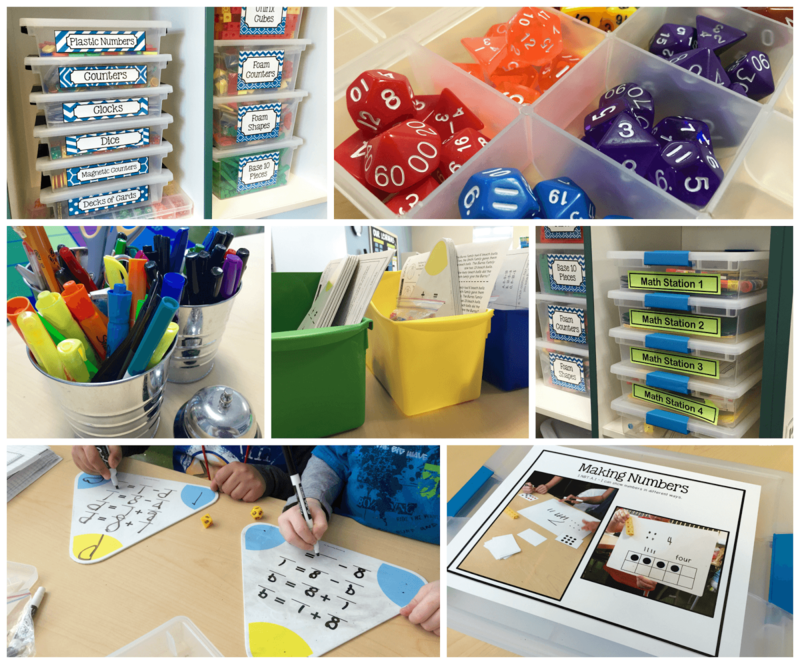 Mathematical Mindsets provides practical strategies and activities to show all children, even those who are convinced that they are bad at math, that they can love and be successful mathematicians. Mathematical Mindsets offers research behind how the brain processes math learning, real ideas for turning mistakes into learning opportunities, and LOADS of rich math tasks. Looking for ways to enrich and push your ‘high’ mathematicians without moving onto another grade level’s content? This book is for you! The Power of Play is a simple read revolving around the idea that play sets the foundation for our later interactions with the world. It poses play not as an ‘extra’ but as a necessity and that play has been substituted for other things – iPads, TVs, toys, etc. It was a convincing read, a well-crafted narrative sharing the research of play. While reading Elkind, I looked at my schedule and asked – “Where can I incorporate more play into our already busy day?” After reading this book, I began my journey with morning tubs! Oh Ron Clark. Preaching truth and real-life lessons, The Essential 55 is my favorite of all the RC books. Broken into 55 sections it’s to the point, full of hilarious and terrifying stories, and reminds me that our academic instruction makes up so little of what we teach in the classroom. From greeting visitors to losing gracefully, this is the 3rd book I re-read each summer before being entrusted with a new group of students. I’m able to develop of list of skills we’ll need to model, talk about, and practice, and I am always inspired by the impact our year together will have. So friends – here it is. My list of go-to resources to impact my daily classroom. If I walked into your classroom, what books on your list would I see in action? Let me know below! Love your list. I”d add two oldies but goodies- How Children Learn and How Children Fail by Jon Holt.